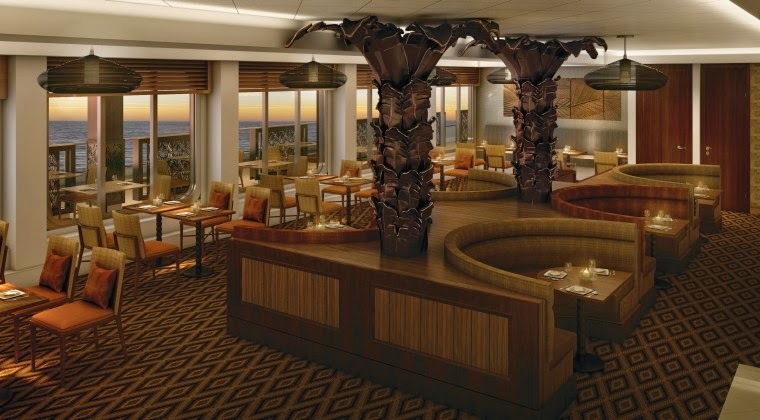 Norwegian Cruise Line has announced more dining venues to be added to Norwegian Escape, which is due for delivery in November 2015. Jose Garces, the James Beard Award-winning Iron Chef, will launch two speciality restaurants. The venues will offer Latin-inspired culinary dishes from classic Mexican dishes to Cuban specialities. Bayamo by Jose Garces will showcase Latin dishes with a heavy Cuban-influence set within a chic dining room. Al fresco dining will also be available on The Waterfront. Dishes will feature the flavours of Latin America with Spanish influences. Pincho Tapas Bar by Jose Garces will offer traditional Spanish tapas à la carte within a lively casual setting. Plates will be prepared on an authentic La Plancha grill right at the bar in front of guests. Sugarcane Mojito Bar will complete the space and serve as an entry to Bayamo. Guests who wish to have a cocktail before dinner can enjoy live Latin music whilst selecting from more than ten different mojitos and rum-based cocktails. Open for lunch through dinner Food Republic will be a modern, up-scale food emporium from The Pubbelly Restaurant Group. Guests will experience a culinary journey via small plates, with flavours ranging from Asia to Central Europe and the Mediterranean, all available à la carte. The Food Republic will offer guests the freedom to choose what they want and when they want it thanks to the venue’s iPad ordering system. As a first-at-sea concept, the District Brew House will be an urban craft beer hall featuring an exclusive partnership with Miami’s Wynwood Brewing Company. This venue will have its own keg room, 24 draft beers on tap and more than 50 different bottled beers on offer. The District Brew House will also offer a menu of gastropub-style plates for snacking. The Cellars, A Michael Mondavi Family Wine Bar will offer wine experiences, with a focus on tasting, education, and the enjoyment of wine, all accompanied by small plates and tapas, available à la carte. Carlo’s Bake Shop by Buddy Valastro, star of American television shows “Cake Boss” and “Next Great Baker”, will offer confections including cannoli’s, lobster tails, tiramisu, plus a variety of other unique cakes, cupcakes and Italian cookies, all available à la carte. Norwegian Cruise Line also announced several entertainment additions. The Escape Theatre will be home to two Broadway musicals – “Million Dollar Quartet” and “After Midnight”. The Supper Club will offer a dinner show concept. The first show offered will be “For The Record”, a show that celebrates classic soundtracks of motion picture masters in a one-of-a kind 360° post-modern cabaret. Headliners Comedy Club will also be added to the vessel following its success on Norwegian Getaway. The venue will showcase comedians chosen through its partnership with Levity Entertainment Group, the world’s largest producer of live comedy. Escape will visit Southampton in October en route to Miami from the shipyard where it is being built in Germany. Passengers can book a two-night cruise from Hamburg or one night on board on October 27. The ship will host an invitation-only event on October 28.